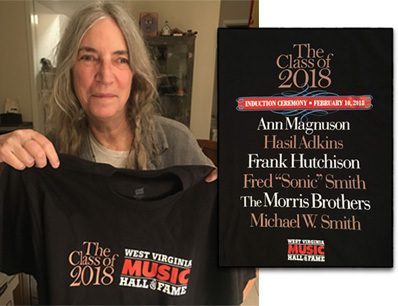 You can commemorate the sold-out 2018 Induction Ceremony with this stylish t-shirt. 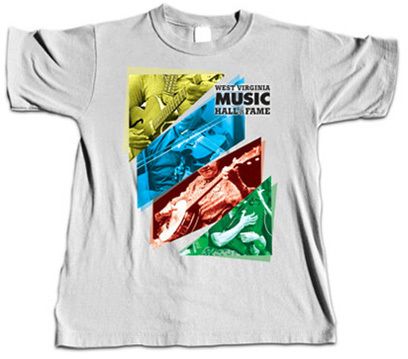 This heavyweight, but exceptionally soft shirt is available in sizes from M-XXL. $15 plus $3 shipping. 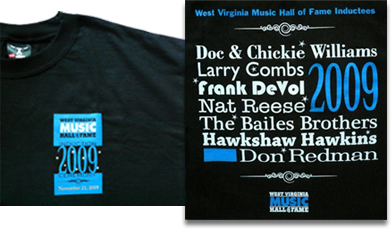 Our original t-shirt is a colorful tribute to West Virginia music and its performers. $15 plus $3 shipping. 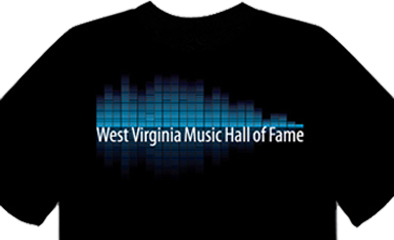 Show your support for the WV Music Hall of Fame in our fashionable black t-shirt. $15 plus $3 shipping. 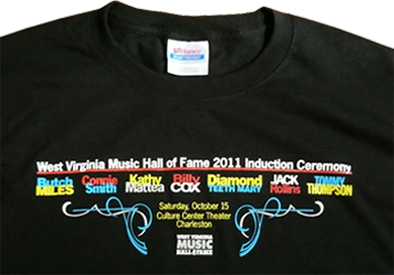 T-shirt marking the induction of the Class of 2015, with the six inductees listed on the back and the Hall of Fame 10th Anniversary emblem on the front. $15 plus $3 shipping. 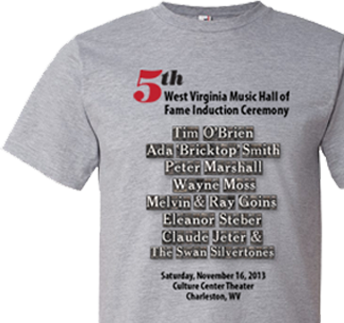 T-shirt marking the induction of the Class of 2013, with a listing of all the inductees. $15 plus $3 shipping. T-shirt marking the induction of the Class of 2011, with a colorful listing of the inductees on the front. $15 plus $3 shipping. 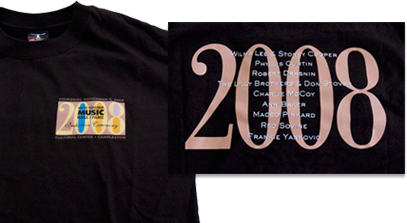 T-shirt marking the induction of the Class of 2009, with all the inductees listed on the back. $15 plus $3 shipping. 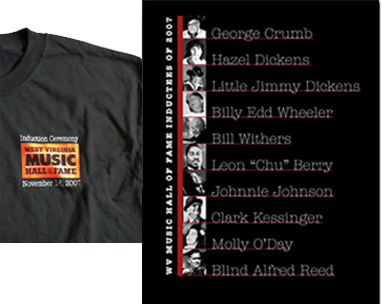 T-shirt marking the induction of the Class of 2008, with the nine inductees listed on the back. $15 plus $3 shipping. 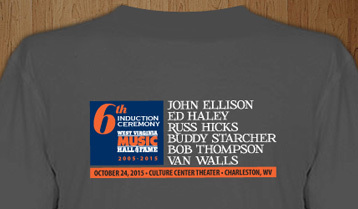 T-shirt marking the induction of the first Hall of Fame class, with all 10 inductees listed and pictured on back. $15 plus $3 shipping. 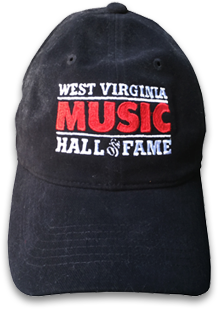 Why not add a spiffy Hall of Fame baseball cap to your wardrobe. $20 plus $4 shipping.